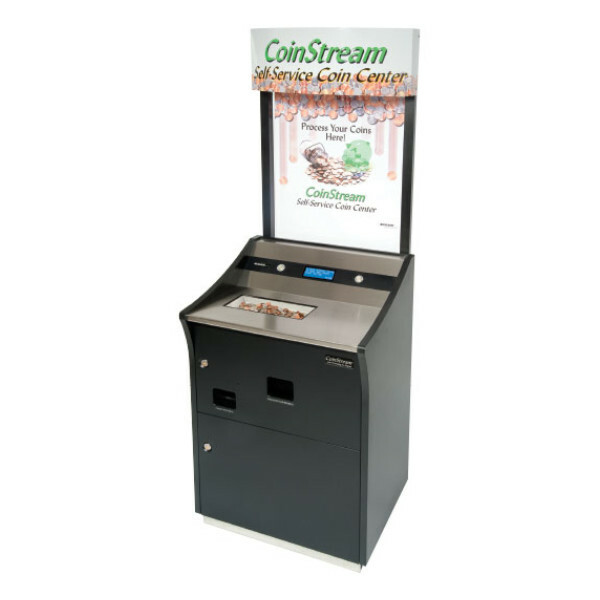 Magner CoinStream CDS 906 — C&A Associates, Inc.
Safely feeds coin, providing a more sanitary environment while reducing the chance of user injury. Accurately counts all six U.S. denominations and automatically rejects foreign coins and slugs back to user. Allowing proper time to cross sell products and services. Easy teller access to the entire counting and sorting mechanism. Gives tellers instant access for bag status, end-of-day reports and transaction history. Remove sand and other small objects during counting process; Patented automatic debris ejection system removes non-coin debris to trash receptacle. Direct access to all bags through secure doors; coins feed directly into bags at floor level, minimizing lifting which allows for easy bag removal.